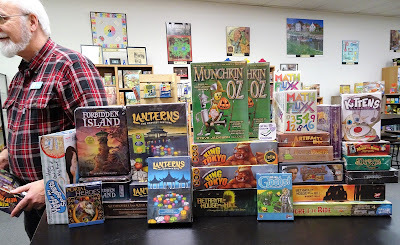 While we were away at a game convention this week a big restocking shipment arrived that also included two new games. 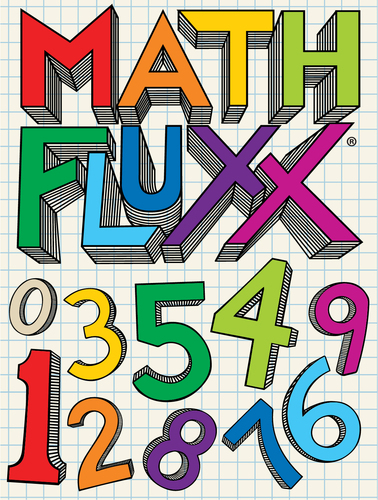 Newest to the Fluxx line of card games is Math Fluxx, a numerical card game with ever-changing rules. Math Fluxx is really all about the numbers. Players use positive integers (whole numbers) in their quest to achieve a very mathematical Goal. But it's not just putting 4 and 2 together to achieve the 42 Goal (for example); Math Fluxx also features the Plan B Meta Rule. Plan B puts Special Victory Rules into play which give you a second way to win and require even more arithmetical acumen (ex. Plus Victory lets you win if your Keepers add up to the current Goal). With Math Fluxx, the fun is exponential! 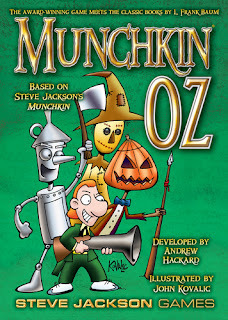 Munchkin Oz is the newest theme in the Munchkin card game line. 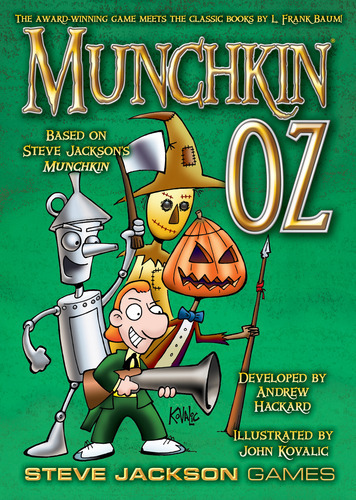 Just like the other Munchkin themes, Munchkin Oz is can be played as a stand-alone game or combined with other Munchkin card games for a truly crazy game play. Rescue the Scarecrow and the Tin Woodsman! Brave the Poppy Fields or the Deadly Desert! Fight against a Wicked Witch or King Krewl! Visit the Emerald City and talk with Dorothy, Ozma, or the Wizard himself! Play a Winkie, Gillikin, or Quadling . . . or even a Munchkin!